Vultures get a bad rap, often lumped in with gold diggers and attorneys (no offense to any gold digging attorneys out there) when they should be celebrated as vital links in almost every ecosystem. My experience of Old World vultures is limited but I know all about the family Catharidae, New World Vultures. While some people consider the Red-tailed Hawk to be North America’s most successful raptor, those in the know acknowledge the almost literal omnipresence of the tippy Turkey Vulture (Cathartes aura). TVs are so common that most birders tend to ignore them after a brief ID despite their malign charisma. As one travels toward the equator, throngs of Turkey Vultures thin out and give way to batallions of Black Vultures (Coragyps atratus). Central America may harbor a tremendous diversity of raptors but nine-tenths of them are probably Black Vultures, easily identifiable by their broad black wings tipped in white. The two aforementioned avians may be the most common of their kind but far from the most interesting of a family that includes California (Gymnogyps californianus) and Andean Condors (Vultur gryphus). These two birds are massive specimens and share the same featherless heads and necks all New World vultures have in common. While the Black Vulture may squander the artistic opportunities afforded by all that skin, the King Vulture (Sarcoramphus papa) of Central and South America certainly makes up for it with its gaudy, bewattled, multicolored visage. Just as Turkey Vultures have roast beef red heads, so do their close relatives, the Greater (Cathartes melambrotus) and Lesser (Cathartes burrovianus) Yellow-headed Vultures have domes daubed with deep mustard. All New World Vultures are scavengers but that doesn’t mean they deserve fear or loathing. Vultures are critical components of their ecosystems; in fact, the family name Cathartidae comes from cathartes, which is Greek for “purifier”. International Vulture Awareness Day is an excellent opportunity to acknowledge the ways in which vultures enrich our natural world but beyond this, you might just want to spend more than a moment admiring how exquisitely these birds are adapted to life on the wing! Hey, my sister is a vulture! I mean an attorney. 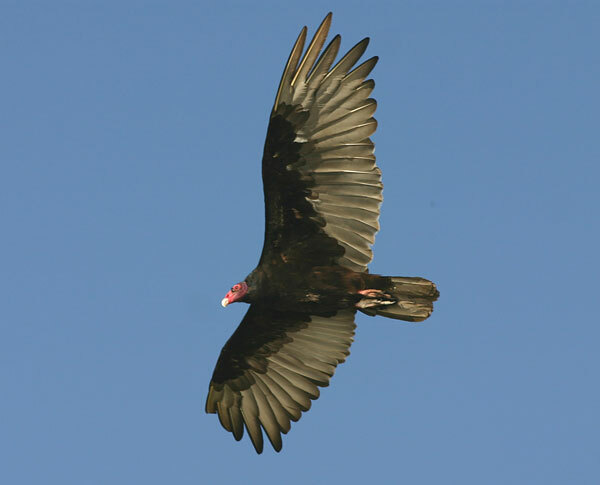 Anyway, Turkey Vultures are the greatest, despite being common. Anyone who doesn’t love a bird that projectile vomits in self-defense is a person I just don’t understand. Mike, I would NEVER take a vulture down to the level of an attorney. I consider vultures rather noble myself. 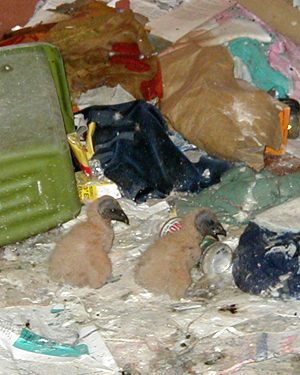 What in the world would we do if we had to clean up all of the untidy messes that vultures take care of? You know, the suicidal deer, the unlucky rabbit that zigged rather than zagged or, probably worst of all, the meandering skunk that didn’t make it to the other side. Nope. I consider the vulture a very noble creature indeed. Helping mankind (and womankind too) every step of the way. I am proud to be celebrating International Vulture Awareness Day. I think they deserve much more credit than they ever get. I never really cared so much for vultures until I started paragliding, that’s where and started to appreciate and admire their beauty. I’ve always known that their function in the ecosystem is to eat and protect us from diseases in dead animals over time. But seeing them fly everyday above us, in the car, in the office, in the restaurant, they are my companions in the air and when I’m in the ground and look up to them, it’s a spiritual connection. Didn’t know there was vulture day…great tip. Counting birds that count on us.